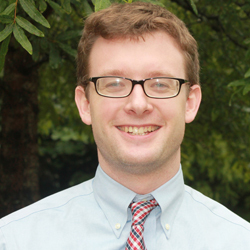 Hardy Farrow is the Executive Director of Let’s Innovate through Education (LITE Memphis). LITE Memphis equips minority students with 21st-century skills to create wealth. Through an 8-year pipeline of support from age 17 to age 25, LITE empowers students to be entrepreneurs by helping them launch business ideas, get matched with paid internships, and receive capital to scale ideas. LITE has been named one of the 20 ideas that can change the world by Forbes Magazine and 85% of students in LITE are on track to graduate college. Hardy was named one of the Forbes 30 under 30 in Education in 2017 and recognized as the youngest recipient of the Memphis Business Journal Top 40 under 40 in 2017. Hardy was the recipient of the National Innovation in Teaching award as a first year Teach for America teacher and was selected as a regional finalist for the Sue Lehmann Excellence in Teaching Award via Teach for America in his second year. Hardy is a proud graduate of the George Washington University where he majored in political science.